The Hampton Center Moulding allows you to add a decorative flair to the bottom of any cabinet. Styled to match our Hampton Bun Feet. 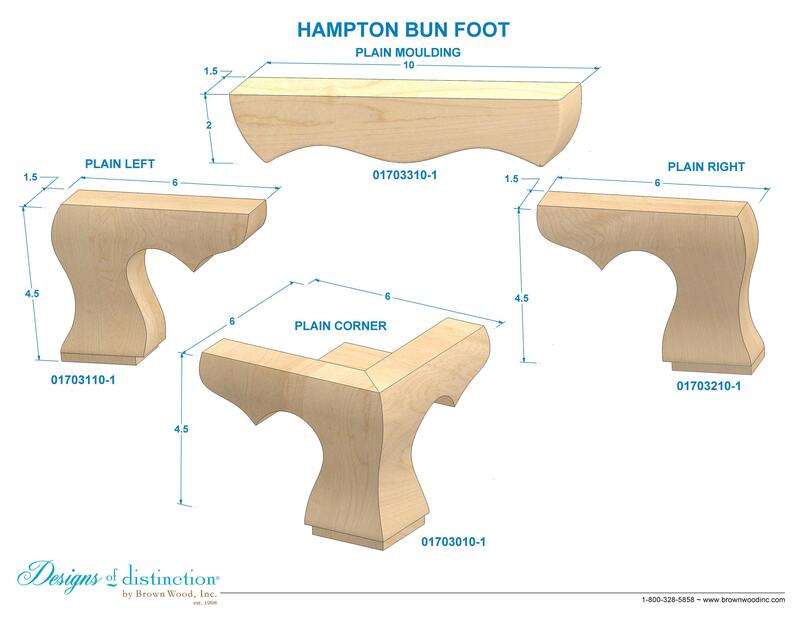 All of the components in our Hampton Bun Feet Collection will elevate your Country French, traditional, and rustic designs. Establish a theme using all wood components from the Country French Collection.